Also known as "The Sun Mountain” because of the southern exposure, Bromley Mountain offers top skiing and snowboarding opportunities in the winter months. 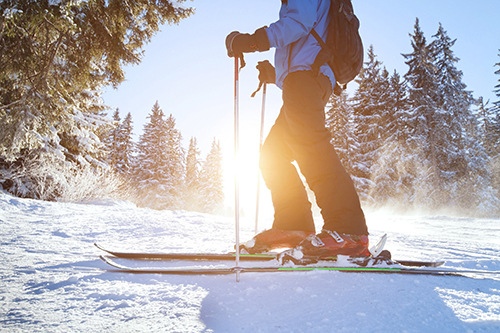 Residents and visitors also enjoy sleigh rides, snowshoeing, and snowmobiling. The mountain has 47 trails with a variety of terrain covering 178 acres. From beginner to expert, there are trails for every level. During the summer, Bromley's Sun Mountain Adventure Park is a great place for families and offers miniature golf, water slides, scenic chairlift rides, a climbing wall, and a kids park. The longest zipline in New England is here, too! The Appalachian Trail and the Long Trail and go over the mountain offering plenty of hiking and biking trails. Contact RE/MAX Four Seasons with questions or to learn more about Bromley. Browse Bromley Mountain real estate listings.